The DPhil in International Development provides an opportunity for outstanding students to pursue in-depth research into processes of social, political and economic development and change in the global South, in a uniquely multidisciplinary academic environment. It can form the basis for an academic career or for a senior post in policy research. We provide an exceptionally supportive and enriching environment for our DPhils, who are able to draw on the expertise of scholars in a wide variety of disciplines related to the broad field of development and a range of regional specialisms, with notable strength in Africa, Asia and Latin America. Our research centres, which are at the forefront of their subject areas, are a rich source of data and case study material for doctoral research and we also have close connections with other departments and research centres across the University. Around 70 per cent of our current DPhil students have received full or partial scholarships to fund their doctoral study at ODID and once on the course, they can draw on further departmental funding to meet their needs at different stages of their research. Our students have a dedicated study area, known as the Loft, which provides a friendly and welcoming space for peer support and networking. Our DPhil students hold a weekly seminar series at which they present their work and benefit from peer feedback, followed by lunch subsidised by the department in the ODID cafe. First-year students also present their work to members of the academic staff and other students in preparation for the start of fieldwork, which provides comprehensive academic input in the formative phase of research. There is a dedicated Course Director for the doctoral programme, the Director of Doctoral Research, who is available to students for consultation and support. We also have a very friendly support staff who can help with queries or difficulties. You can find out more about the support available in the Funding and Facilities tabs below. As a result of the supportive environment offered by the department, our doctoral students generally go on to complete their studies in good time. On completion, students are able to submit their work for publication in the department's Working Paper series or to Oxford Development Studies, the peer reviewed journal that is edited at the department. ODS offers a £1000 prize for the best student paper accepted for publication. Read some interviews with current doctoral students. View the profiles of our current doctoral students. The DPhil community at ODID is renowned across the university for having a strong sense of camaraderie, a lively culture, and a beautiful shared working space. As a DPhil student you will undertake your own original research project under the guidance of your supervisor, with whom you will typically meet two to three times a term. The supervisor will help develop and guide your project and, at later stages, provide feedback on chapter drafts. You will work on your own extensively, however, and will need a high level of motivation. You will be admitted initially as a Probationer Research Student (PRS), transferring to full DPhil status at the end of your first year. During the probationary period, you will develop and begin work on your thesis topic. You will be offered training in relevant research methods, language, computing and other skills, and have the opportunity to attend lectures, seminars and classes in your general topic area. As a PRS you will take one taught class, either in research methods or from an Oxford master’s degree relevant to your research, on which you will be examined at the end of the first year. You must pass this course in order to transfer from PRS status to full DPhil status. You also need departmental approval of a fully developed research plan, which you will present in your transfer paper to two assessors approved by the department’s Graduate Studies Committee. You are expected to be resident in Oxford for the PRS period. Once the transfer is complete, you may leave Oxford in order to conduct your fieldwork and continue the course by carrying out your own research under the guidance of your supervisor, with whom you will continue to meet or correspond regularly. Assessment of progress will be made during these sessions with your supervisor and also in more formal viva voce examinations – for the Transfer of Status (usually at the end of the first year) and for Confirmation of Status (usually at the end of the third year). More information on these two meetings can be found in the Course Handbook. As a PRS you will normally be expected to complete your degree in a period of three years plus up to one year of fieldwork (if needed). Students who transfer to the DPhil after the MPhil in Development Studies are expected to complete in two years plus time needed for fieldwork: they are also expected to be resident in Oxford for part of this time. Further information on the structure can be obtained from the Course Handbook. I still draw on my experience, including the excellent supervision I received, when supervising my own students now. 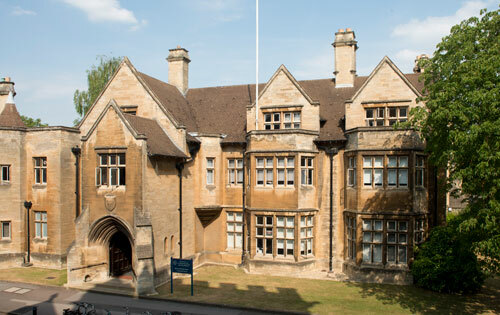 Many ODID DPhil students go on to develop academic careers in universities and research institutions across the world. Others have taken up positions in the major international institutions, including the World Bank and the UN organisation, or in NGOs. Find about more about what some recent graduates of the course are doing now. The following academics are available to supervise doctoral students. Click on the links to find out more about their research interests and the students they currently supervise. A wide variety of scholarships are available to support doctoral study, including departmental scholarships. You can find full details on the Fees and Funding page. We offer excellent desk-space and a convivial environment for both intellectual and social interaction in the dedicated DPhil work area, the Loft. Students have access to full IT facilities, including computers, printers, scanners and Wi-Fi. As a doctoral student you will have access to a wide range of seminars organised by the department as well as an enormous variety of events across the wider University. The department has its own lively and well-attended weekly DPhil work-in-progress seminar, at which you can present your ideas and receive feedback from your peers. The Social Sciences Library, the largest freestanding social science library in the UK with considerable print and digital strengths in development studies and a specialist librarian, is a short walk away. This is complemented by the world-class resources of the Bodleian Library and the satellite libraries in Area Studies, particularly Africa, Asia and Latin America. DPhils have the support of a friendly group of administrative staff in the department. In 2017 our caretaker, Gary Jones, was named Best Support Staff in the OUSU Student Teaching Awards with a record 67 nominations. The Loft. Doctoral students have access to full IT facilities. The common room area in the Main Hall. The ODID cafe. Doctoral students have a free lunch on Fridays during term. The doctoral student football team! Please refer to the course webpage on the University's Graduate Admissions pages for full information on selection criteria, application deadlines and English language requirements. Also see the Supervisors tab below, which sets out which of our academics are available for supervision, and the How to Apply page. Enquiries about research degrees should be addressed to The Graduate Student Administrator, admissions@qeh.ox.ac.uk.